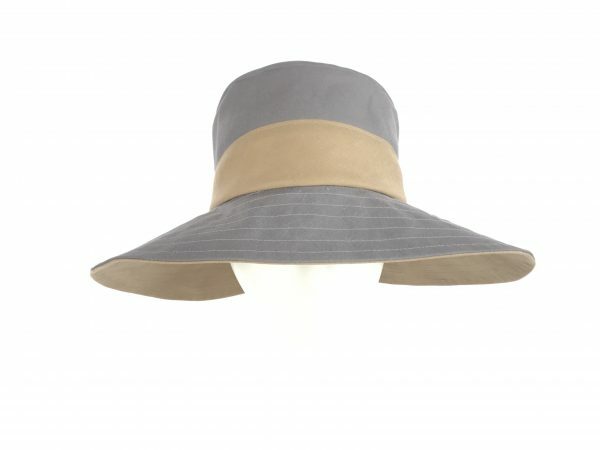 Handmade in VT, this gorgeous wide-brimmed cloche rain hat is made of a treated canvas so the water just rolls right off! The material has a enough body that the brim can be bent at various angles for the most flattering shape. We have sewn a soft, adjustable cotton band inside the hat, so that it fits head sizes 21 1/2 inches to 23 inches.